When they say everything is bigger in Texas, that also applies to their delicious burgers. For some of the heartiest burgers you’ll ever sink your teeth into, check out these 10 awesome burger joints in the Lone Star State. Texas Burger is a Texas-state chain with six locations across Odessa, Midland, and Andrews. Since 1967, Texas Burger has served all-Angus hamburgers, topped with a cherry pepper. You can’t talk Texas burgers without talking Texas Burger. Known as “the burger shack under the freeway,” Bubba’s Texas Burger Shack has delicious food, local beer, a large patio, and huge HD TVs. The Shack has been in business since the 1980s and helped popularize the buffalo burger. Check out their physical location under the freeway or their roving food truck. Not to be mistaken with Texas Burger (at the top of the list), TX Burger is another Texas-state only chain, this time with ten locations scattered across Cameron, Buffalo, Fairfield, Madisonville, Needville, Weimer, Corrigan, Crockett, and Rockdale. Their business model is simple: good burgers with fries and shakes. Hopdoddy Burger Bar may be one of the most celebrated burger joints in the state. It’s been featured on the Food Network, Food & Wine Magazine, GQ, the Jimmy Kimmel Show, Rachel, and more. 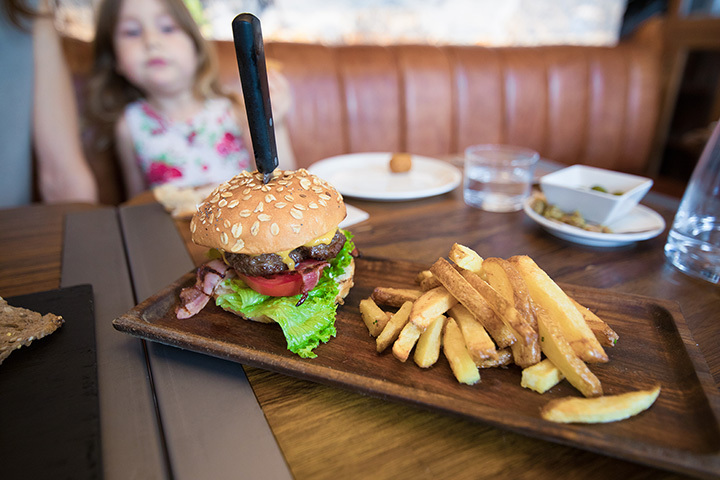 Their burgers are made with fresh baked breads, daily ground meats, and served with hand-cut fries. Twisted Root Burger Co. has 15 locations throughout the Lone Star State, each with a different theme based on location. For example, the Arlington location, less than a mile from Cowboy’s Stadium, is tail-gating themed. Roanoke has an eclectic dive theme. TV shows from all over the world have visited the various locations to take in the themes. But Twisted Root doesn’t get by on theme alone: the burgers, made from your choice of exotic meat plus buffalo and wagyu meat, are the star of the show. Tookie’s Bean Burger was featured on the Thrillist’s 19 Best Burgers in Texas, and for good reason. Their burgers are regularly featured on top lists, including Texas Monthly and others. But don’t take our word for it. See for yourself. Rodeo Goat, with locations in Fort Worth and Dallas, serves over twenty mouth-watering burgers. The Telluride burger made the Thrillist’s 19 Best Burgers in Texas list. From the article: “The Telluride packs intense flavor with green chili chutney, roasted poblano goat cheese, and Hatch chiles… but this is the kind of place where you go with whatever speaks to you.” Well said. Armadillo’s specialized in good, old-fashioned, Texas style burgers. They’ve got two locations in San Antonio, each serving eight different kinds of burgers. Our favorite? The Fiesta Burger, served with refried beans, pico de gallo, fried tortilla chips, cheddar cheese — hold the veggies. Might Fine Burgers has five locations throughout the greater Austin area, including one in Sunset Valley, University Oaks, Arborwalk, Cedar Park, and a roving trailer (with a separate food truck available for special events). The managing group received the Malcom Baldridge National Quality Award: “the highest presidential honor for performance excellence.” They’ve got burgers, chicken, fries, rings, and shakes. The stylist Guru Burgers and Crepes has taken Sugar Land, Texas by storm. The menu is full of awesome burgers, delicious crepes, and must-have sides. Oh, and get the mac and cheese. You won’t regret it.